Capacity-building This is the main goal of VISTA members. VISTA members are not intended to do direct service (i.e. tutor students, teach classes, act as an administrative assistant, etc.) but rather work "behind the scenes" to build an organization's capacity to serve the needs of the community, by helping a program to increase its scale and reach or by helping a program to be more effective. Capacity-building activities include program development, creating or improving systems, conducting program evaluation, building partnerships, building a volunteer base, improving volunteer systems, increasing financial resources, or improving marketing and outreach. Cohort The name given to a group of VISTAs all serving under the same sponsoring organization in the same year. CNCS Stands for "Corporation for National and Community Service." CNCS is an independent federal agency that funds and oversees VISTA, AmeriCorps State and National programs, and other national service programs. Ed Award VISTA members may choose to receive either a stipend or an Education Award upon completing their year of service. The Education Award is $5,775 that may be used towards tuition or to pay back federal student loans. eGrants This is the CNCS website that site supervisors (as well as the sponsor organizations and CNCS) use to access the applications that potential VISTA members enter in the MyAmeriCorps website. EST Stands for "Early Service Training". This is offered to Minnesota Literacy Council VISTA members a few weeks after they begin service at their sites. Green Book This is the Minnesota Literacy Council nickname for a procedural manual that all VISTAs are required to assemble by the end of their service year. This manual includes important information, records, and instructions to allow for a smooth transition from one VISTA member to the next, or from the outgoing VISTA member to others who will continue the work. Hatch Act The federal law that prohibits VISTA members from engaging in political activities while serving at their host sites or from representing themselves as VISTA members while engaging in political activities during their outside-of-work time. ICC Stands for "InterCorps Council." This is a peer-led group of AmeriCorps members from across the state of Minnesota who strive to promote statewide collaboration, education, communication, and engagement across the different AmeriCorps programs. Living allowance Since VISTA members are not employees, terms such as "paycheck," "salary," or "paid" are not accurate. Instead, we say that VISTA members receive a living allowance. MLC Stands for "Minnesota Literacy Council." National Service This term is used to describe the programs under CNCS where individuals can dedicate a period of time to service in their community. 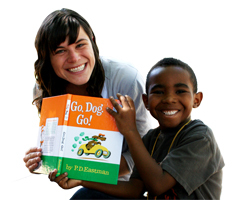 National Service includes AmeriCorps, SeniorCorps, and PeaceCorps. Within AmeriCorps, National Service members include VISTA, State and National, and NCCC. Non-competitive Eligibility Status A unique benefit of VISTA service that allows the federal government to hire previous VISTA members, without the VISTA members having to compete with the general public, provided that they meet the minimum qualifications for the job. OSOT Stands for "On-Site Orientation and Training." This is the plan for training in a VISTA member at his or her site during his or her first weeks of service. Site supervisors need to have this plan in place before a VISTA member begins his or her service. Progress reports Sometimes referred to as the "quarterly report." 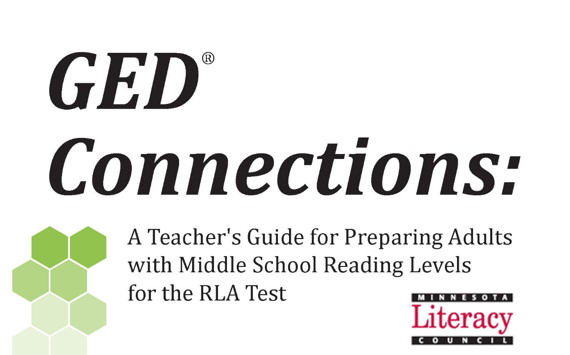 VISTA members and their site supervisors are required to complete quarterly progress reports and submit these reports to the Minnesota Literacy Council. The Minnesota Literacy Council uses this information to submit reports to the CNCS state office. PSO Stands for "Pre-Service Orientation." This is offered to all VISTA candidates in the state of Minnesota and is organized by CNCS. All VISTA members must complete this training before beginning service. RFP Stands for "Request for Proposals," as when sites submit proposals to host a VISTA member. Service Since VISTA members are not employees, terms such as "work" and "job" are not accurate. Instead, we use the word "service". Site Also called a "host site" or "service site". This term refers to the place wherethe VISTA member is placed and serves during their year of service. Site agreement This is a contract between the Minnesota Literacy Council (sponsor organization) and the host site where the VISTA member will be serving. Sponsor Organization The Minnesota Literacy Council is a Sponsor Organization. It receives federal funding to place and support VISTA members. Most Minnesota Literacy Council VISTA members serve at other non-profit organizations or schools. As the Sponsor Organization, the Minnesota Literacy Council serves as an umbrella organization and the liaison between individual host sites and the CNCS state office. State and National VISTA is a part of AmeriCorps. The non-VISTA, non-NCCC part of AmeriCorps is called "State and National." The rules and expecations for State and National AmeriCorps members are slightly different than they are for VISTA members. One major difference is that State and National AmeriCorps members often perform direct service, whereas VISTA members do indirect service and capacity-building work. State Office The Minnesota office of the Corporation for National and Community Service. Stipend VISTA members may choose to receive either an Education Award or a Stipend upon completion of their year of service. The stipend is $1,500 in cash. Some other AmeriCorps programs use the term "stipend" to refer to the "living allowance". Summer Reads This is a special VISTA program that the Minnesota Literacy Council runs only in the summer months. The Summer Reads Associates serve for eight weeks and work directly with children to combat the "summer slide" and maintain or increase students' literacy skills during summer break. SuperVAD The Minnesota Literacy Council VISTA program coined this term to describe a position description and work plan that spans three years of a VISTA project's assignment descriptions, supplemented with a three-year work plan. Within the Minnesota Literacy Council VISTA program, we often use "VAD" and "SuperVAD" interchangeably. Sustainability The intention is that VISTA members will "work themselves out of a job" and that after three years of a project, the organization will be able to sustain it without VISTA resources. As VISTA members build capacity, they should also put things in place to make it easy for the organization to continue their work in the future when the VISTA member is no longer serving there. Examples include creating systems, streamlining processes, creating resources, creating partnerships, training others to continue the work, and passing on information. VAD Stands for "VISTA Assignment Description". This is a position description and work plan that should outline the specific goals and activities of the VISTA project and should be used as the main guide for VISTA service. All VISTA members have a VAD. VISTA Stands for "Volunteers in Service to America". VISTA members are a specialized group of AmeriCorps members that have the specific role of capacity building. The mission of VISTA is to eliminate poverty. VISTA members are not employees, volunteers, or interns. VISTA Leader A VISTA Leader is a special designation of VISTA member that serves at a sponsor organization. VISTA Leaders give support to VISTA members and help to run the VISTA program smoothly. A person must have successfully completed a year of national service in order to qualify to become a VISTA Leader. VISTA Portal The space on the Minnesota Literacy Council's website (found on the bottom right of the home page) that is devoted to information and resources for AmeriCorps VISTA members. VISTA members can also find and acess forms, policies, procedures, and the program roster here. Volunteer We don't generally use the term "volunteer" when speaking about VISTA members. When we use the term "volunteer," we are usually referring to people VISTA members recruit to serve as volunteers at their site.